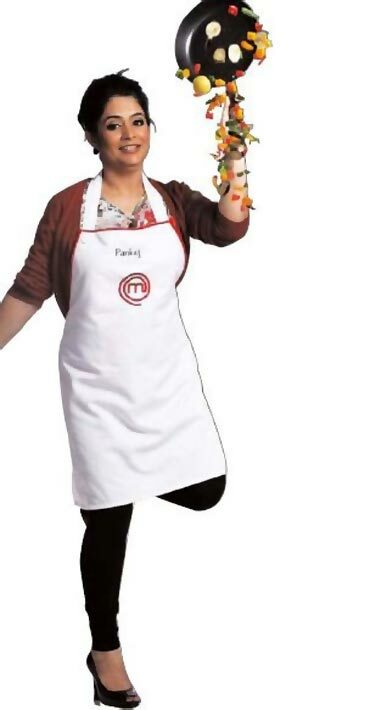 Lucknow-based Pankaj Bhadouria, who won the first season of Masterchef India, is now hosting her own show titled Pankaj Ka Zayka on Star Plus. It has Bhadouria helping housewives with kitchen queries. She not only solves cooking problems but also makes the task easier for them. She will visit some well-known kitchens in the country, interact with top chefs and try out their food. Bhadouria will also be seen encouraging viewers to be part of the process. She talks about the show in an interview with Rajul Hegde. You are hosting a cookery show. How excited are you? I am very excited because it's a dream come true. At the same time, I am nervous about the response. I'm not a trained chef; viewers will be able to connect with me because I am like one of them. It's a cookery show with lots of fun. I'm keeping my fingers crossed (smiles). Tell us about your most memorable moment. Was it hosting or winning? Memorable moment, of course, is when I won the show because it was a moment of pride for me. Whatever I am doing today -- whether it's hosting a show or writing a book -- is all because of Masterchef. Can you talk a bit about your book Pankaj Bhadouria Master Chef cook book? My book will come out in the market very soon It's a compilation of 75 recipies from across the globe. This includes some of the fabulous recipes from Masterchef competition and few recepies of my own with little twists incorporated in original recipes. Many housewives want to try out some dishes and they can't because of the non availability of certain ingredients. So I was clear in my mind that when I write the book on global food, it will have ingredients that are easily available in the market. So this book contains recipes for international dishes that can be made using Indian equivalents. How comfortable are you in front of the camera? I didn't find any difference between teaching and hosting a cookery show. I have never experienced any kind of stage fright so far and that could be because I was always active in organizing events while I was teaching in school. I am still sort of doing what I used to do in school except this time its infront of the camera. I am camera-friendly. Shooting is hectic at times but its fun. How has life changed post Masterchef? Masterchef has got me a lot of respect, fame, money and love. It is a great feeling when people say 'Aapne Lucknow ka naam roshan kar diya' (You've made Lucknow famous). It gives you a sense of achievement and I am humbled by their appreciation. I was invited to prestigious Cambridge University to be the guest of honour at the Varli Food Festival, New York. I got a chance to meet Chef Vikas Khanna and many more. Also I was invited to give lectures in London to let people know that healthy food need not be boring and tasteless. We had to basically change the perception about healthy food. I chose Indian dishes like butter chicken with no butter (low fat), gatte ki subzi and fish in coconut sauce. Chicken with no butter was a bit hit, everybody loved it. None of the dishes I made ignored the health, nutrition and taste factor. Plus, I launched an Olympic menu at Pride of Asia Restaurant in London. It wouldn't have been possible without the support of my mom-in-law. She is like a rock, manages everything in my absence. Once while shooting I was missing my family and my mom-in-law immediately came with my son to Mumbai and spent four-five days with me. My husband is very supportive too; I turn to him for any kind of advice. My children are so proud of me when they get to hear good things about me from outside and their friends. Generally, parents are proud of their children but in my case it's the other way around (smiles). My children are also very encouraging and co-operative when I am away from home.